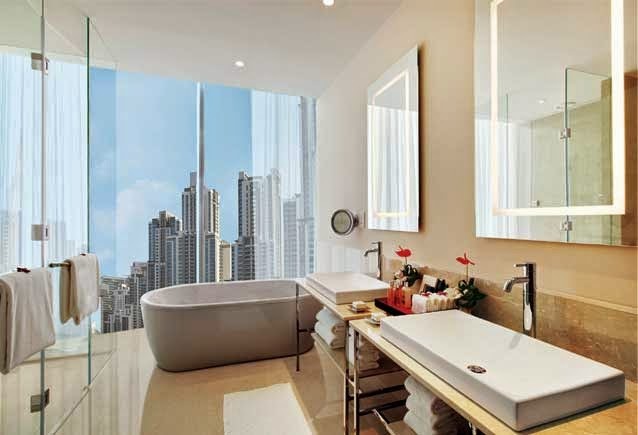 Extravagance and glamour await at the gorgeous The Oberoi, Dubai; book your travel across WhataHotel! and receive not only top-notch service but Exclusive Complimentary Perks for an exciting deal. This contemporary hotel is the embodiment of space and light. While the interiors are breathtaking, The Oberoi, Dubai overlooks the iconic Burj Khalifa guaranteeing that the exterior views are completely unforgettable. Travel to an exotic and alluring land where elegance and style are in abundance, book your stay at The Oberoi, Dubai and rest assured you are staying at one of the Best Hotels in Dubai. 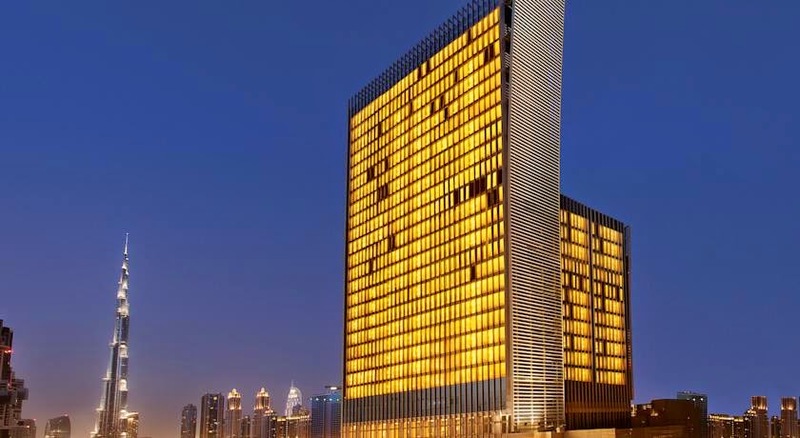 Located just a few minutes form the fashionable Dubai Mall as well as the Dubai International Financial Centre, The Oberoi, Dubai is in the perfect location for both business and pleasure. Featuring 252 large guestrooms and suites with full view windows and exquisite decor for a splendid stay. Other impressive amenities include spa therapies, a fitness center and beauty parlor, shuttle service to some favorite local landmarks, a well-equipped business center and so much more. 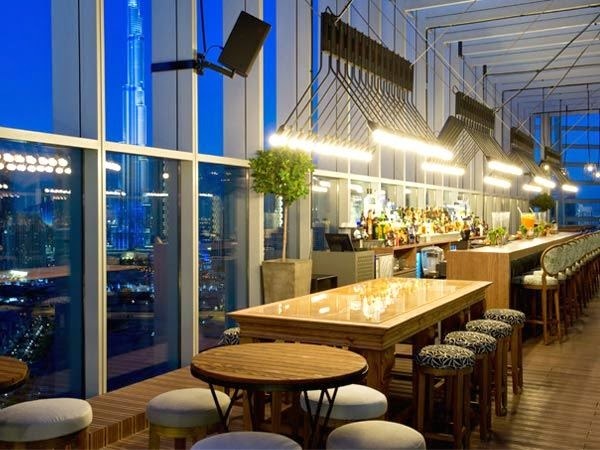 Restaurants here are divine, including NINE7ONE, an eclectic restaurant with Arabic, Asian and Western flair, Umai presenting extraordinary sushi and sashimi, Ananta for authentic Indian cuisine in an intimate yet sophisticated setting and the newest addition, iris. The lobby lounge and bar are also great places to grab a morning cup of coffee or a nightcap before bed. 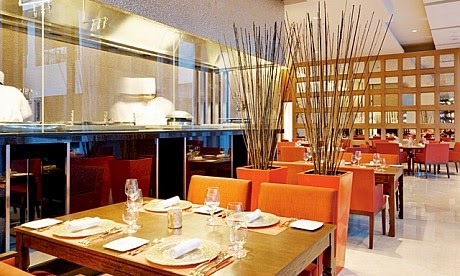 The Oberoi, Dubai is fabulous hotel in an exhilarating city ensuring an outstanding trip. When booking your trip to The Oberoi, Dubai across WhataHotel!, guests will discover Exclusive Complimentary Perks for an unbeatable deal. The available perks include a daily full breakfast for two, available upgrades at booking, a 30 min head massage for two, a lovely welcome amenity and options for an early check-in or late check-out. Whether you sit back and relax in your well appointed room and watch the sun setting over the skyline or head to one of the ultra-chic restaurants and awaken your taste buds with sophisticated menu selections, The Oberoi, Dubai will not disappoint. Get ready to stay in one of the Best Hotels in Middle East for a time that you won't easily forget.